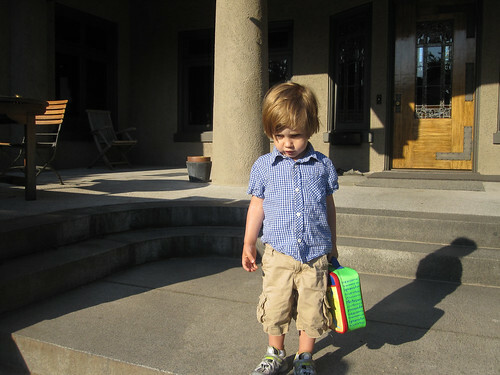 Hudson started preschool today at Nanny’s. He went there this summer for a couple weeks in August, so he’s used to it and loves it. His friends are Ryker and Josie and seems to play with the trains all day, is a little shy but seems to like singing songs. In the pic he doesn’t look to happy to be going. How’s he been liking it? He loves his school. The teachers are really good with him and he plays with all the kids.